I’m a state inmate that went to the new private level 3 prison in Youngstown Ohio. I signed up to go there when the state of Ohio choose to change Toledo Correctional Institution to a level 4 ( maximum security). I went through a screening process which if I would of had certain types of tickets on my record while in prison I would not have been allowed to go there. I was told that people with active gang files were prohibited from going, as the staff in Toledo made it sound as if it would be a honor style prison. I was on the first van from Toledo to Youngstown. The staffing at Youngstown greeted us with smiles on their faces, they accommodated every need some of us had such as bottom bunk restrictions and or bottom range needs for guys who couldn’t climb steps. Many of the staffing came there from other prisons in Ohio however very few had experience with level 3 ( close security). For the first few months the federal inmates still ran the chow hall and the food and portion size was like a mom and pop restaurant, it was decient flavor and worth eating. in fact many of us didn’t need to buy food from the commissary because the chow hall filled us up, however that didn’t last long. When the state inmates took over the portion size and the flavor went out the window, it would be the start of the downfall of a good thing. The operating staff told us in orientation that guys willing to work in the commissary would get a $25.00 incentive each month plus our regular state pay, however when the state inmates took over the commissary jobs from the federal inmates the state inmates never seen any incentive pay. State inmates working in food service also was promised incentive pay too, however many guys worked 70 hours a week without anything other than their state pay which is about $17.00 a month. Commissary prices were raised and then the state started sending state inmates that did not meet the required standard as many of us first guys. The state of Ohio utilized the private prison as its dumping grounds for guys causing problems and who were active gang members in the state system. The welcoming smiling private staffing had no clue as to what plague the state just dumped off on their doorstep. soon staff realized that many state inmates are really in need or PROPER mental health treatment, (proper mental health is not herding them in general population to save the costs of professional mental health staffing, and treatment) staff weren’t sure if inmates were playing around or what, but it wasent long until they got fed up and filled up their segregation unit. Then the state of Ohio looked the other way when those that needed higher security filled up those cells in segregation that should have been open for level 3 inmates. Thus the private staff couldn’t put people in the hole for causing trouble or who are disruptive to daily life in prison because those cells were full of guys waiting to go to a higher level security prison. Basicly the state caused the problems but expect the private prison to fix problems that the state have overlooked for decades. 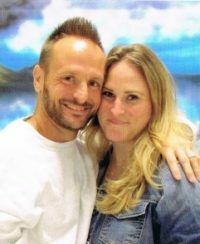 One guy I hung out with was told by private prison staff that he would be going home on a date, the guy had served 29 years for a 15 year sentence, (this is another reason state prisons are so over populated is LET PEOPLE GO HOME, if people don’t kill people why keep them in prison?) never the less the date for the guy to go home and here came the case manager (while the guys sister sat at the prison door to pick him up) to tell him he wasent going home. so basicly the private prison staffing failed to be trained in the “fly paper” state of Ohio prison system, as they didn’t know how the bias Ohio parole board have no intentions of letting him out even though the computer says its his out date, even though he has Colan cancer, on oxygen, didn’t kill anyone the state of Ohio is not done occupying a cell for him that should be filled up with someone who is a threat to society. I stayed at this prison 16 months and watched it go down hill until I finally had enough. I’m now at a lower security level state prison. What caused the last straw with me was the fact that all the programming I signed up for never happened, staff would tell me I’m on the list, or they already gave the class, they only have to give it once per year, and I’ll have to wait until next year( this was in september, for a 3 month class that is mandatory for the parole board). I also went through the hassle of filing a motion to my court to have them grant my community services hours towards my debt from my trial. After making over 200 teddy bears for Akron Children’s Hospital I acquired over 200 hours of community service to be turned in so I could pay my debts while I’m wrongfully convicted waiting a miracle, seeings how the D.N.A. evidence is being ignored. The community services staffing ignored my kites asking why they didn’t turn in my hours, letters from the clerk of my court sent to them also were ignored, informal complaints were answered passing the blame to people not responsible, grievances get answered by excuses that never solve issues, and I wait for a reply from the central office. I filed more informal complaints, grievances, and appeals while housed at the private prison than I have altogether in the nearly 12 years spent in state operated prisons. Private prisons ignore the 8th amendment, the A.C.A., O.D.R.C., and the Ohio Revised Code, they are compelled to a contract that the state violated but will not bite the hands that feed them to keep their jobs that are not protected by a union, while some private prisons do have a union the one I experienced was not, and it reflected it in the actions of its officers. THE DOWN SIDE OF PRIVATIZED PRISONS (part 2), by John Lockhart Jr.